Les Voiles de Saint-Tropez is as fine a display of traditional values as one could desire. The classic yachts present are reminiscent of a museum piece; the row of varnished spars and white hulls moored to the harbour wall offering a glimpse into yesteryear. It is the human element that marks this display apart, that prevents it being as wooden as the masts. 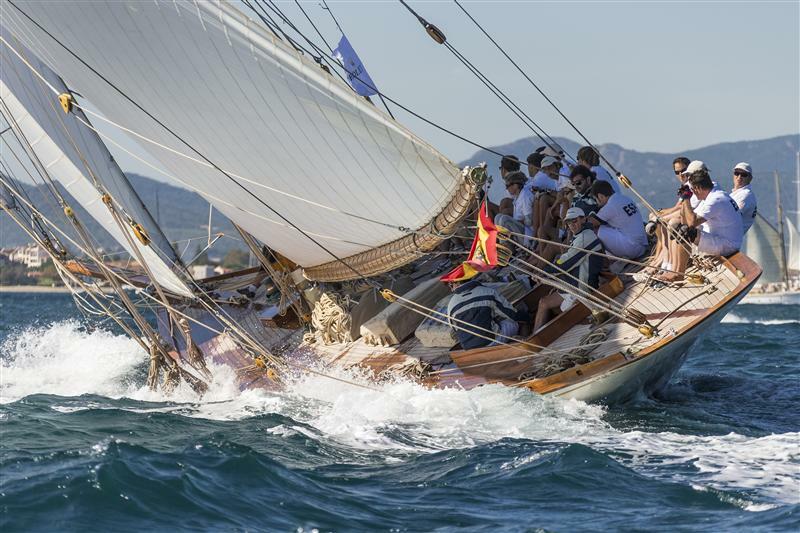 At Les Voiles it brings the tradition to life; particularly today as racing commenced for the older portion of the fleet, including those competing for the Rolex Trophy. The Tradition division took to the Bay of Saint-Tropez spurred on by a breeze that promised much at midday when the first signal sounded, but proved more troublesome: building, dying and shifting throughout the time it took the competitors to complete the 12 nautical mile course around the Bay under a clear blue sky. Within the yachts vying for Rolex Trophy there are a myriad of stories. The four 15 Metre Rule yachts provide the perfect example of the importance of tradition within the assembled fleet. Built to the International Rule at the beginning of the twentieth century, "Metre" does not refer to the length, but to rating; Mariska (launched1908), Hispania (1909), Tuiga (1909), and Lady Anne (1912) actually measure almost 30 metres (98 ft) in overall length. The details of Hispania’s chain of ownership appear lost to the confusion of European conflict in the mid-1900s. By a stroke of good fortune she was discovered in the early 1990s in the mud off the south coast of England by some resolute Spaniards intent on saving a piece of their yachting heritage. 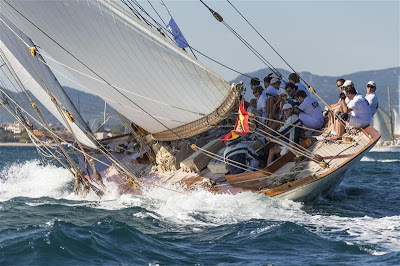 After a joint restoration by Fairlie in the UK and Asterilleros del Mallorca in Palma, Hispania was relaunched March 2011 by current owner Fundación Isla Ebusitana. Hispania finished second today, behind Mariska, in the 15 Metre class – a sound enough start in her bid to claim the Rolex Trophy. There are 55 yachts registered in the Tradition division for the Rolex Trophy, which is awarded to the best performing yacht over 16 metres in length on deck.